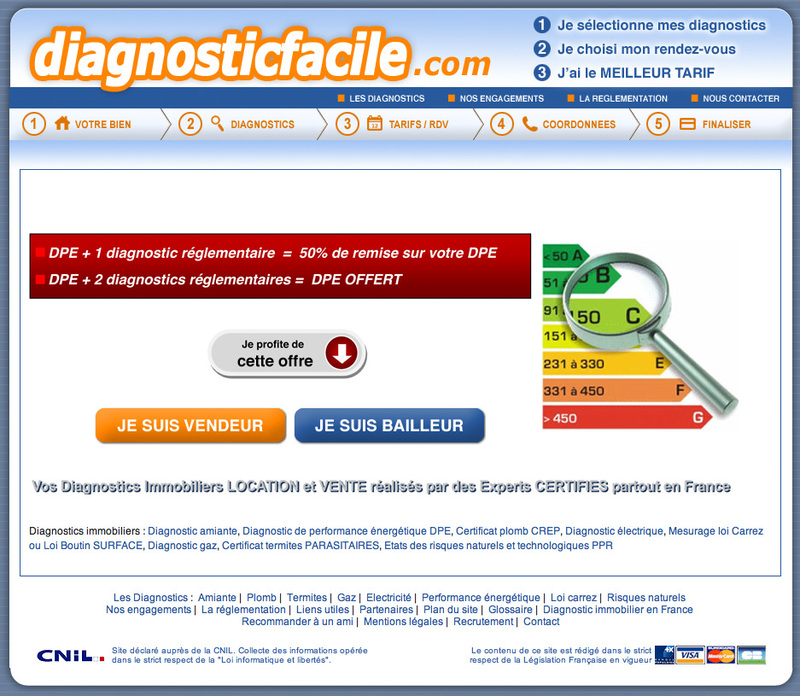 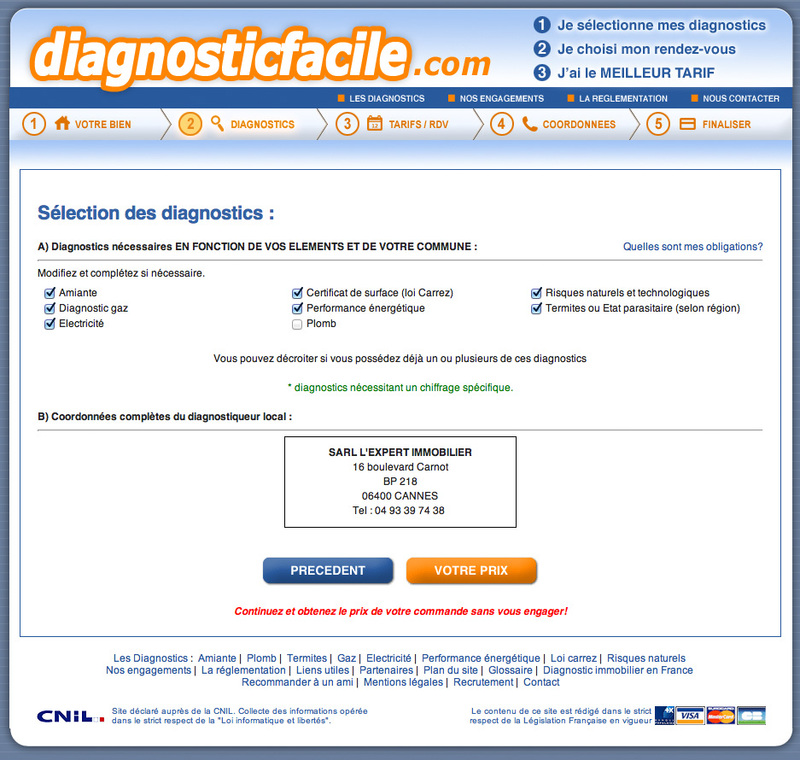 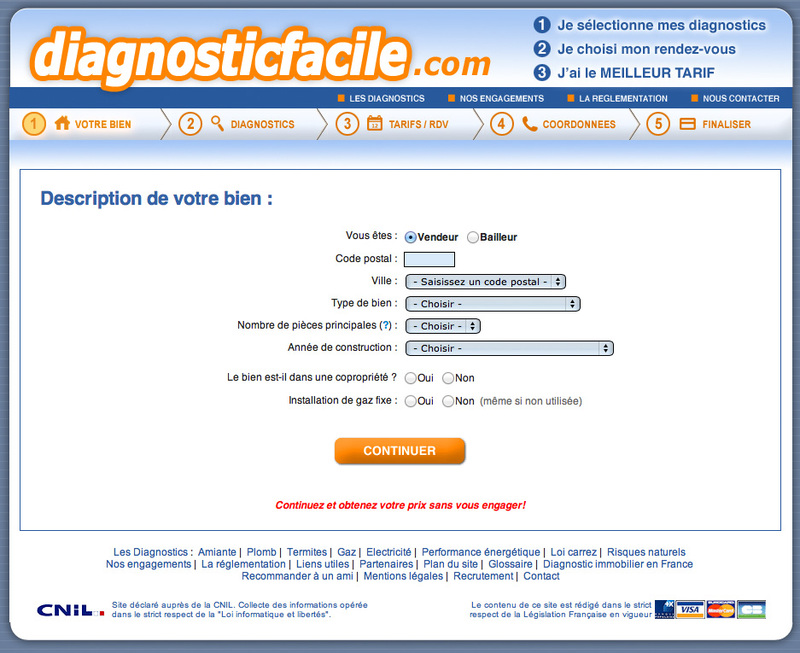 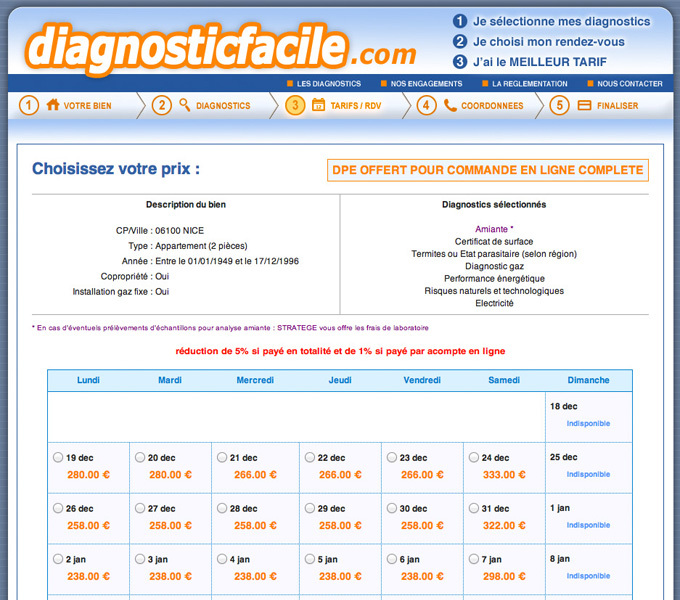 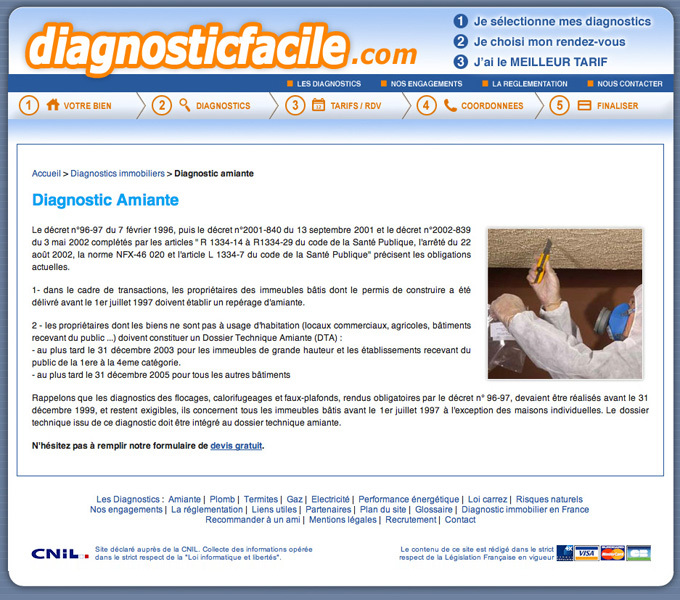 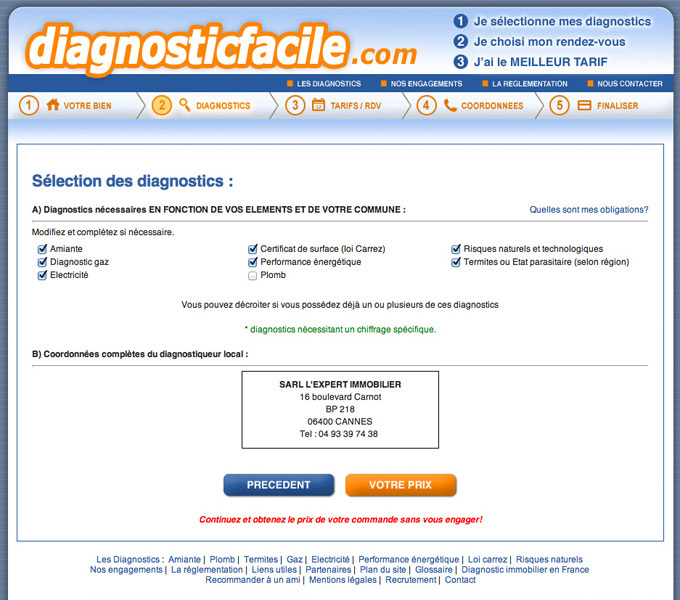 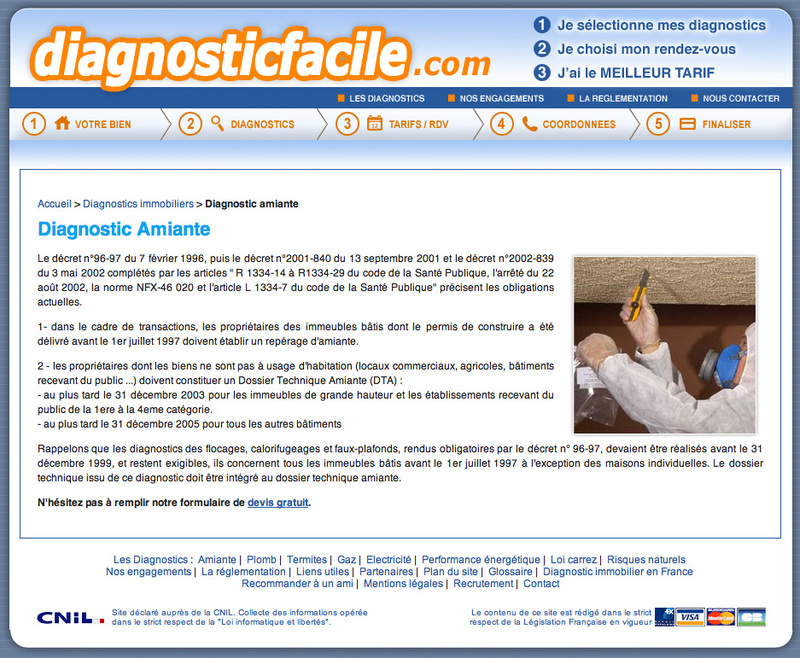 Diagnosticfacile.com allows real-estate property owners and renters to schedule law-required diagnostics online. 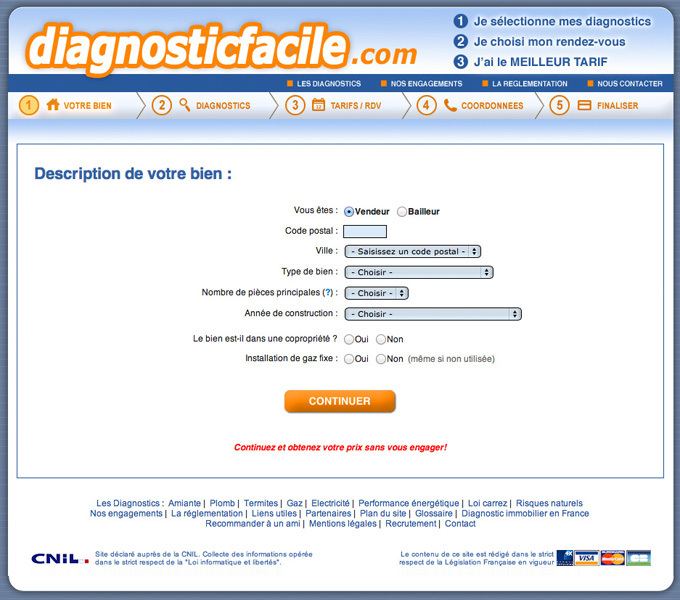 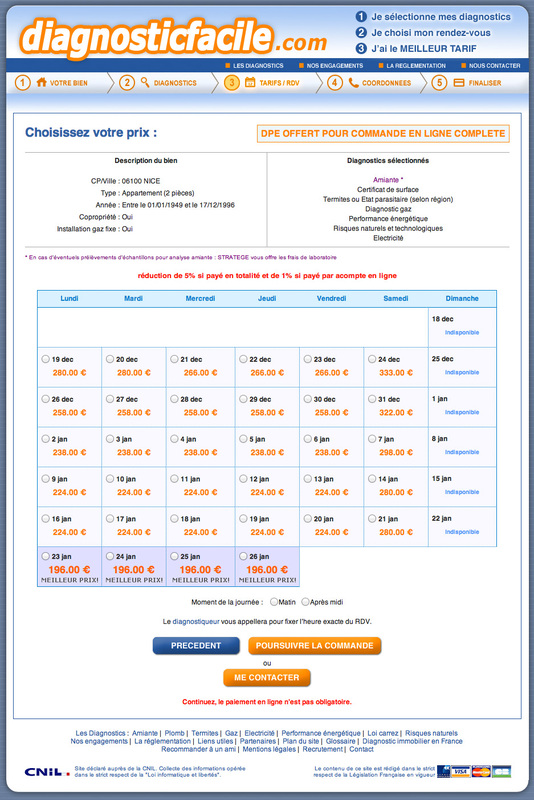 In a few steps, a quote can be obtained from the information provided. 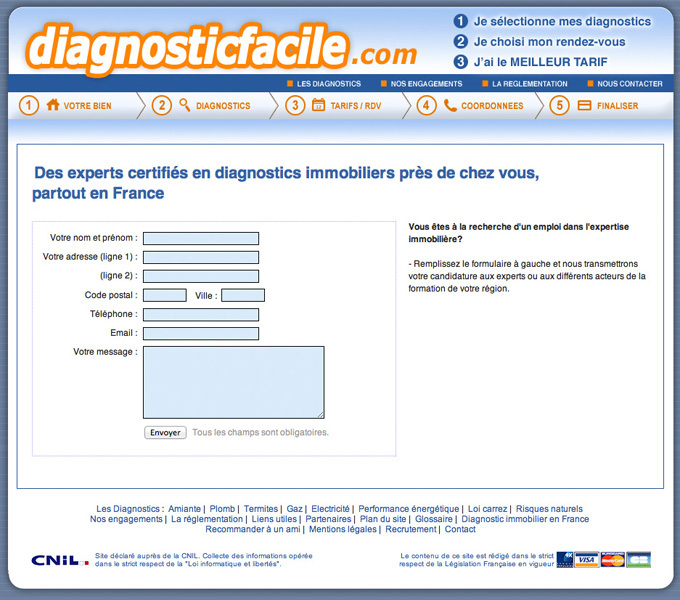 Customers can then pay online and schedule an appointment with a licensed professional. 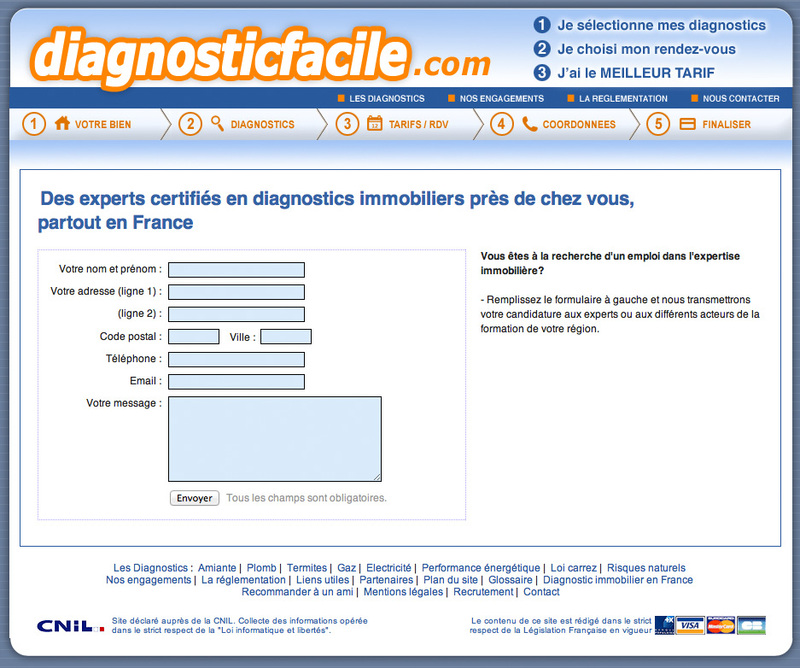 The website features an intuitive frontend interface, and three different backend systems for administratos, vendors, and salesmen to set pricing parameters and track incoming orders.